Preheat the oven to 425 degress. 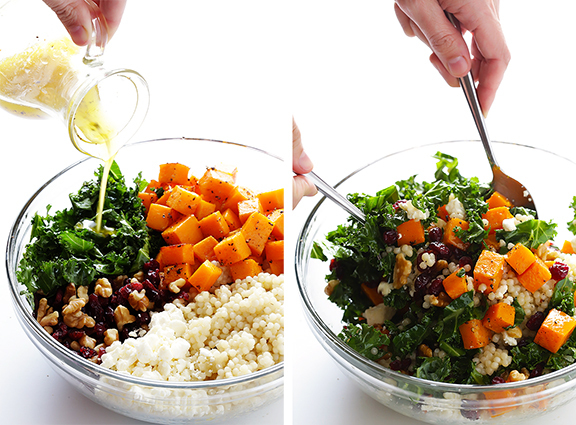 Toss cubed butternut squash with olive oil, salt and pepper, and toss until combined. 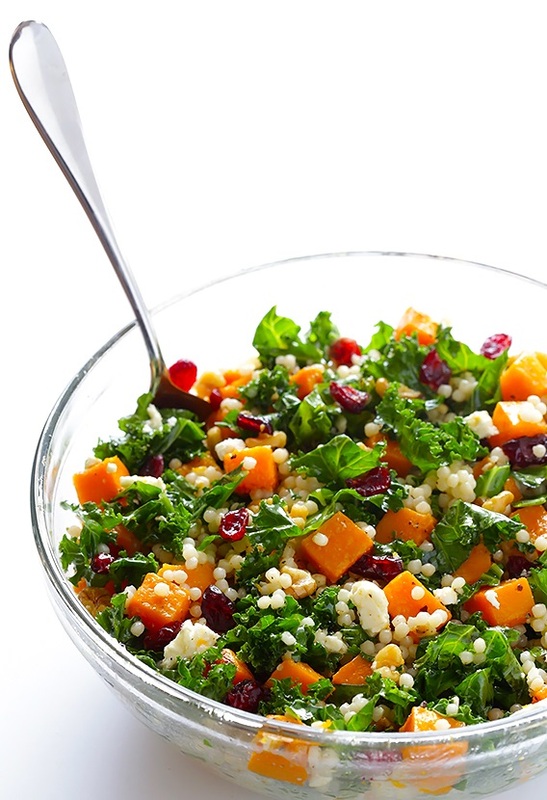 Spread the butternut squash out in an even layer on a parchment-covered baking sheet. Bake for 15 minutes, then remove from the oven and flip the squash for even cooking. Bake for an additional 10-15 minutes, or until the squash is tender and slightly browned around the edges. Remove from oven and transfer to a large mixing bowl. 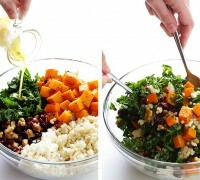 Add cooked couscous, kale, cranberries, walnuts, goat cheese, and vinaigrette, and toss to combine. 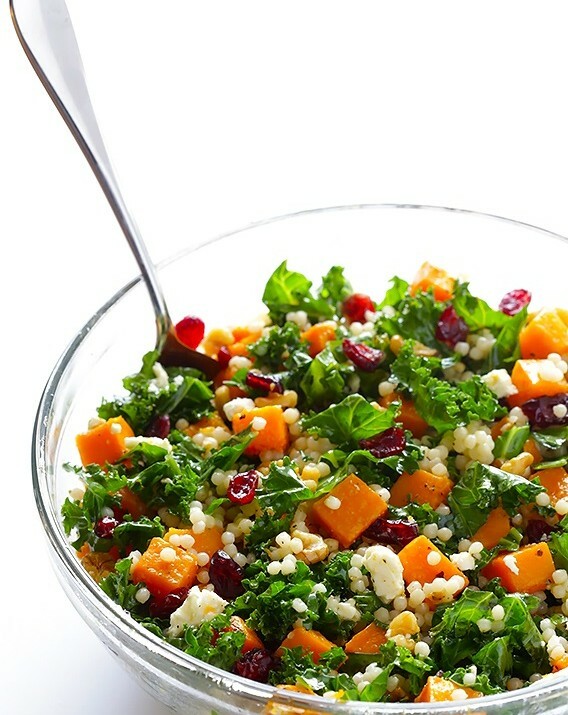 Serve warm, or refrigerate in a sealed container for up to 3 days. Whisk all ingredients together until combined or add to a mason jar and shake until combined. Taste, and season with additional salt and pepper if needed.